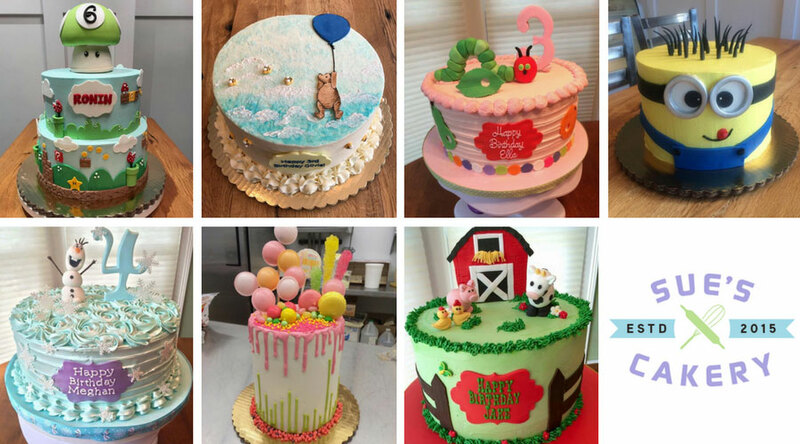 All of the following bakeries were recommended by Kidlist readers and some chose to upgrade their listing to include more information and photographs. Thank you to our bakery sponsors for making this article possible and creating beautiful and delicious treats for our kids! There’s nothing more exciting for a child than their birthday…and a great cake can make the day magical. Whatever your child’s obsession is for that day…Minions, Frozen, Pac-Man, whatever…Sue can design it and bring it life. Sue uses only the finest ingredients in her cakes and everything is made on-site to ensure it is absolutely incredible. Her buttercream frosting is made fresh every day and is so light and delicious. Her cakes look amazing and taste even better. Sue can also supplement any cake design with decorated cookies and cupcakes…perfect for take home treats. Call Sue and let her make your child’s dream a reality. You’ll also want to check out our Birthday Party Guide for location and entertainment options to plan amazing birthday parties for your kids! *It is unlawful for individuals to sell baked goods from home unless they have a commercial kitchen, separate from their personal kitchen, that is licensed by the health authority of the appropriate county. Since we do not know any home-based bakers personally, we could not make an accurate assessment. If you are looking to hire a home-based baker, please verify that they work in a commercial kitchen or contact the health department. Be the first to comment on "Reader Recommended: Best Birthday Cakes"